Sherry taste stays the longest. 1 minute. A nice, pleasant, simple highlander with a sufficiently diverse and deep scent for his years, though somewhat discouraging with his unexpected rotten perversions; taste / finish are pleasant, transparent and fresh, good saturation and density for a commercial fortress. Dusty-woody, light, with sourness, "transparent" peppery wave, a little dried fruit - dried apricots in the main, and dirty; oily, spicy, slightly astringent oak. Herbaceous, again some medicinal mix-tablet motifs, dry grass, oily, unsweetened dried apricots, lemon in tea. Fruity and sweet in nose and taste. Short aftertaste with a very small / short pepper. Nice slobber, but no brilliant whisky. Some smoke, honey, citrus and sherry. Vanilla, berries, more vanilla and some spices. relatively short, a tiny hint of peat and something refreshing. 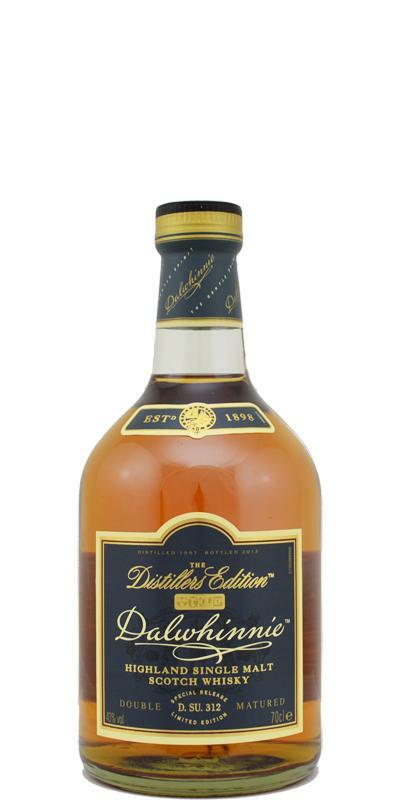 Pleasant whisky with character, which is fruity (citrus), especially in the fragrance. The taste is more sweet, and the citrus disappears but makes way for banana. The finish is somewhat on the short side, slightly peppery and again banana influences. For the price it's okay, a decent daily dram, but nothing exquisite. Slightly farmy with wet hay, grass, notes of apples, pears, butter, wax and sugary sweetness. Thin, light, suffers from watering down. Slight fruitiness with apples and pears again, a tiny hint of raisins, sugar and a handful of pepper. Short, the sweetness of sugar continues but is quickly dominated by spiciness of pepper.